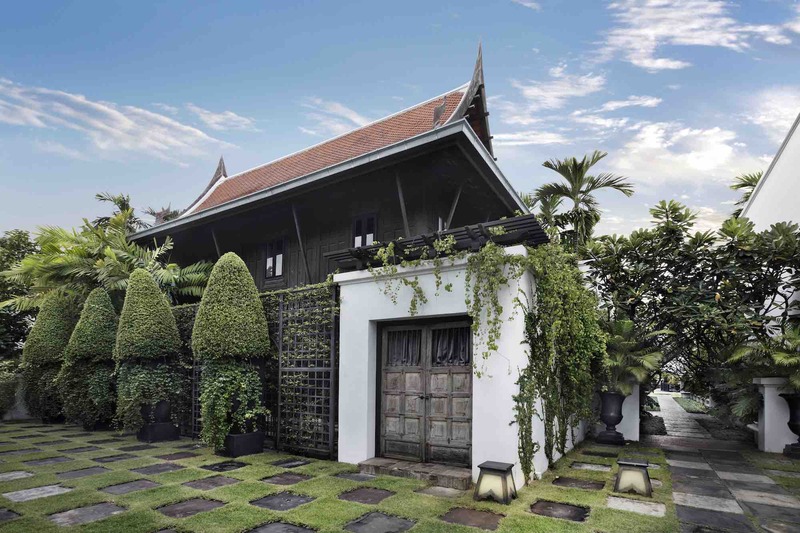 High Life takes a relaxing trip to Bangkok for a memorable stay at majestic hotel The Siam. Being in a boat on Bangkok’s Chao Praya River at dawn is nothing short of extraordinary. As the sun begins to hide behind the horizon, a magnificent golden hue covers the sky over the Kingdom of Thailand. Fresh breezes refresh and rejuvenate our senses as we pass through the Wat Arun temple on the Thonburi west bank. Anticipating our impending arrival at our destination, we look afar in search of the pier of our hotel, The Siam. 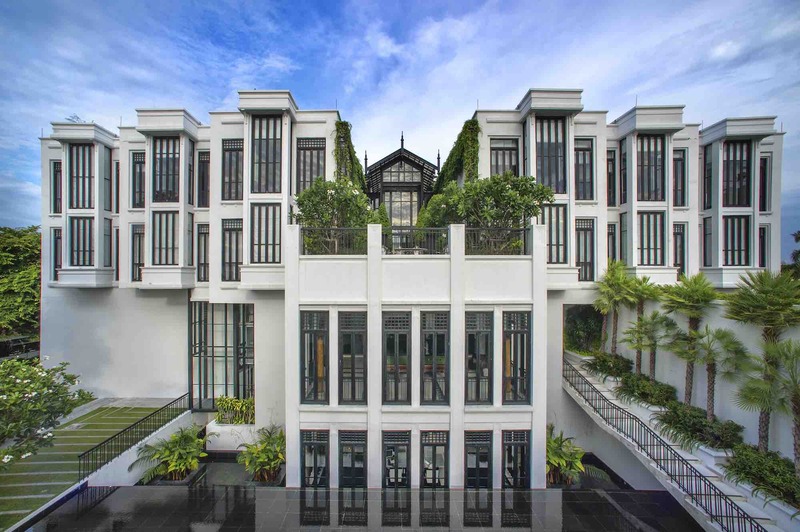 Set on three acres of verdant frontage along the city side of the River of Kings, The Siam is a private 39-room urban luxury resort located in Bangkok’s Royal Dusit district. Upon check-in at the hotel’s reception area, fresh passionfruit and mango juice is served in a glass bottle placed among a bed of purple flowers on a tray. Our personal butler immediately introduces himself and escorts us to the room as we walk through one building to another, where an atrium houses three-story high green plants towering proudly into the sky. A beautiful statue of Buddha sits peacefully in the hallway. Designed by internationally acclaimed architect Bill Bensley, the establishment is an Art Deco inspired, Thai antique-infused masterpiece. Fitted out with plush furnishings, super-sized king beds and lofty ceilings, each suite is individually designed with original turn of the century oriental artwork and antiquities. For those who like to be transported back in time and experience inimitable Siamese charm and hospitality, the sprawling grounds of the hotel hold a unique, little known history. Four teak structures on the premises of The Siam date back at least 150 years. Three of these make up the hotel’s Thai restaurant Chon while other is the signature suite, Connie’s Cottage. All four houses once belonged to Connie Mingskau, the famous Thai Socialite and silk legend Jim Thompson’s confidante. Each house, at least a century old when bought, had to be dismantled, transported down the river and reassembled in its original location on Sukhumvit Road. Connie’s legendary parties often saw the likes of Jacqueline Kennedy and William Holden in attendance. Today, the houses are equipped with the finest modern comforts while retaining their distinctive charm. The two-level cottage features a four-poster Thai King bed, an ensuite bathroom and a private outdoor balcony overlooking the largest private pool on the property. Renowned as an institution which prides itself on truly personalized service – with two staff members to every guest – The Siam also provides fully customized mobile phones with 4G data connection, unlimited data roaming capacity as well as free local minutes, allowing the opportunity to discover Bangkok free of worry and stress. Concierge Connect enables contact with the Siam butler service at any time of day and arrangements made by the hotel are uploaded to the “My Stay” itinerary planner for ease of reference. The Portier City Guide inspires guests to explore whimsical Bangkok with text written by internationally renowned travel writers who call Bangkok home. A daily Radar bulletin introduces cultural activities, connecting guests to local communities of artists, musicians, chefs and all the wonders taking place during their stay in the city.